Sun Chemical will showcase its broad portfolio of inks, adhesives and coatings for packaging during LatinPack 2018 at Espacio Riesco in Santiago, Chile on June 7-8. Self-adhesive label printer Aztec Label has installed a UV Proflex 330E flexo press, manufactured and supplied by Focus Label Machinery. X-Rite Incorporated, a global leader in color science and technology, and Pantone LLC, today announced six new libraries for PantoneLIVE, a cloud-based digital color standard ecosystem. Developed with their PantoneLIVE Preferred Partner for ink supply, Sun Chemical, the six new dependent standard libraries are ideal for UV-cured flexography printers and converters allowing them to accurately match achievable Pantone Colors in label and carton applications. Consumer goods companies and designers can use the new libraries to better define, create, visualize and communicate color palettes for clear film packaging, aluminum labels and recycled cartons produced with UV-cured flexographic printing technology. Handy Labels has been going strong since 2007 and last year extended its reach even further with a fresh new website, helping artisan businesses to improve their packaging and accessibility. Running steadily over this decade have been two Roland DG Soljet Pro 4 XR-640 large format printer/cutters. 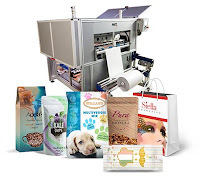 Geostick Group, one of the biggest label printers in Europe, and the leader in the field of self-adhesive labels, has acquired a new Nilpeter FA to future-proof production and add capabilities in flexible packaging, special tags, and self-adhesive labels. 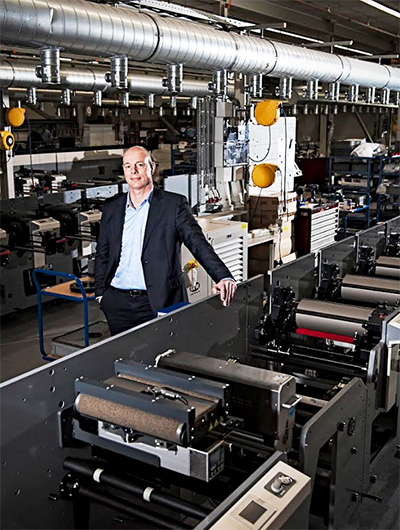 Geostick has a long-standing relationship with Nilpeter, and the new FA complements their existing line-up totalling five Nilpeter FA-4 presses at locations in Utihoorn and The Hague, Holland. 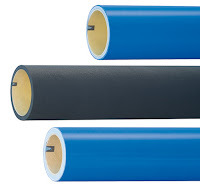 Geostick faced challenges of needing to replace old equipment, expand capacity, and increase quality and register accuracy in the production of self-adhesive labels and complex tags in back and front printing. Memjet, a leading developer of inkjet printing technology, announced today that its OEM partner, Rigoli s.r.l., has launched the Rigoli MVZ: the first roll-to-roll, wide format, inkjet printer powered by Memjet and designed for flexible packaging applications. This new, low-cost solution enables users to produce the colorful, low- to middle-run lengths of customized flexible packaging that are in demand in today’s market. Rigoli will be demonstrating the printer and showcasing customized packaging at the upcoming IPACK-IMA 2018, which will take place between May 29 and June 1, 2018, in Milan, Italy. 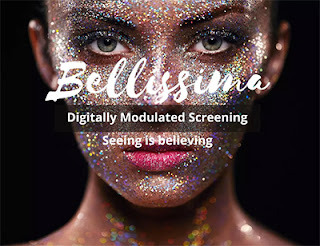 InterFlex Group, a global innovator in flexible packaging solutions, has commented that Bellissima DMS, the FTA’s 2018 Technical Innovation Award winner, delivers a simple solution to the complex issues faced in flexographic printing. With the aim to provide unique experiences and enhance personal engagement with consumers, HP Inc. has collaborated with Coca-Cola India, one of the country’s leading beverage companies, to bring the famous ‘Share a Coke’ campaign to India. The initiative aims to give people the opportunity to celebrate relationships that have evolved over the years and reignite them by creating a moment of happiness that comes from sharing a Coke. “Share a coke” campaign is being technologically supported by HP Indigo digital printing. The launch edition of Labelexpo Southeast Asia – the biggest label and package printing event in the region – has exceeded all expectations, with 7,934 attendees from 62 countries flocking to BITEC in Bangkok, Thailand for the three day show from 10-12 May. Exhibitor rebookings for the next edition in 2020 already stand at 42 percent – the highest following a Labelexpo event launch to date. 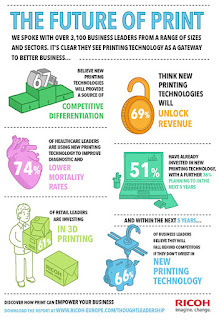 European business leaders have identified new printing technologies as key enablers of agility and innovation. 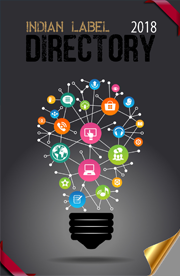 According to a new study commissioned by Ricoh Europe, the majority of the 3,150 decision makers surveyed say agility (77%) and innovation (69%) benefits are key investment drivers for new printing technologies. 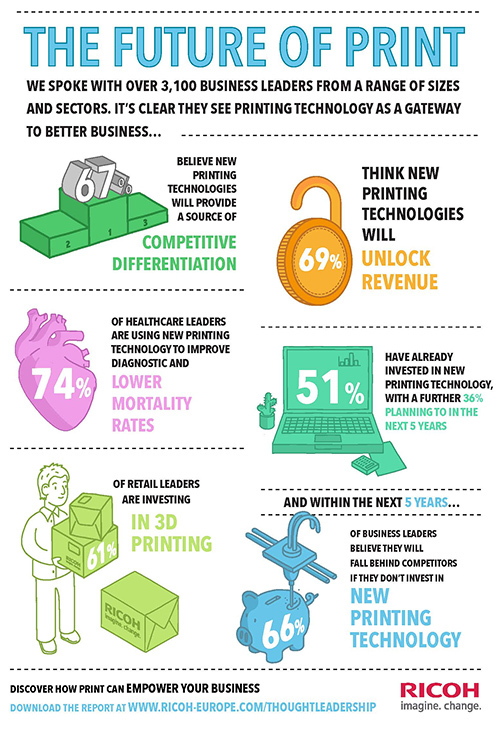 These findings show that new forms of printing have become crucial components of business leaders’ strategies for success. The research also shows that 69% think printing will unlock revenue and 67% believe it will provide a source of competitive differentiation. These leaders back up this belief with financial commitment: 51% have already invested in new forms of printing with a further 36% planning to do so in the next five years. Flexo print jobs are continuously getting shorter. 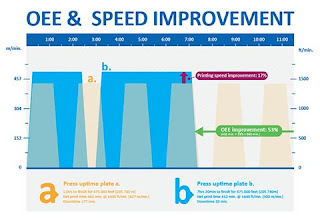 Optimized press productivity and capacity require more print jobs per day. Simplified and faster supply chain of resources helps to meet the demands of the end-customers. With this in mind, Flint Group introduces their new rotec Rush Program, where priority production allows significant faster delivery times for a set of rotec Blue Light or rotec Ω Blue Light sleeves. The sleeves and adapters production site in Ahaus, Germany manufactures and delivers the complete portfolio of rotec worldwide. In the middle of May, more than 400 guests from all over the world attended the Packaging Day hosted by Heidelberger Druckmaschinen AG (Heidelberg) at the Wiesloch-Walldorf site. Under the slogan “Think out of the Box”, they witnessed the premiere of the Primefire 106 – what up until then was only available to see in customers’ print shops and in the laboratory environment is now also installed in the Print Media Center Packaging, and thus completes the extensive demo range in the world’s biggest demo center for packaging solutions. Heidelberg is the only manufacturer to integrate offset and digital printing including finishing via the Prinect workflow, and is opening up new business models for packaging printing. Asahi Photoproducts, a pioneer in flexographic photopolymer plate development, today announced it will be attending EskoWorld for the first time. Asahi will be located in the Innovation Center at the show, scheduled for 5 to 7 June at the Hyatt Regency Hill Country Resort and Spa in San Antonio, Texas. Cosmo Films Limited, a global leader in films for packaging, labelling & lamination applications and synthetic paper today declared its financial results for the quarter ended March 31, 2018. 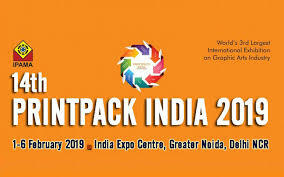 Heidelberg has also confirmed participation in the forthcoming PrintPack India 2019 exhibition, apart from other legends of the printing and packaging industry like Bobst, Canon, Fuji, Fairdeal Engineers, HP, Komori, Kodak, Konica Minolta, Line O Matic, Malhotra Graphics, Megabound, Memory Repro, Mullar Martini, NBG Printographics, Pelican, Prakash Offset, Ryobi, Rotta Print, Sheth Printograph, The Printers House, VIG Graphics, Xerox and many more. IPAMA is also expecting some more big industrial houses to participate in the exhibition. 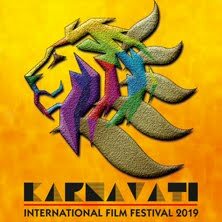 The overwhelming response, which had been received from the trade and industry for booking of space during past editions, makes it abundantly clear that the 14th edition is going to be a grand success. 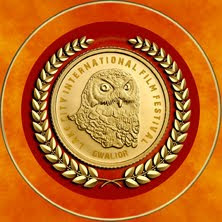 It is also an undisputed fact that international facilities to exhibitors and business visitors will be provided. Nilpeter Asia Pacific made a grand entrance at the inaugural LabelExpo Southeast Asia that took place last week, May 10-12, at the world-class Bangkok International Trade & Exhibition Centre (BITEC). The All New FA was Nilpeter’s main attraction, complemented by product offerings from their regional OEM-partners. 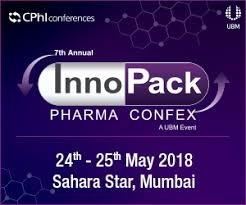 CPhI Conferences, a division of UBM India, which hosts a number of successful pharmaceutical conferences, has announced its premier event, ‘The 7th Annual Innopack Pharma Confex’ which is scheduled for 24th – 25th May 2018 at Hotel Sahara Star, Mumbai. The confex promises to be the largest platform for professionals from the Pharma Packaging industry to congregate, network, exchange ideas and knowledge, form alliances and shape the future of the pharma packaging industry, all under one roof. This 2 day confex will witness scintillating panel discussions with a pulse on practical solutions along with a display of the latest international and domestic solutions in packaging. It does not have to take long to implement a system that manages packaging specification, approval and project life cycle. After installing Esko’s WebCenter QuickStart for Corrugated in just five days, Landaal Packaging Systems has been able to add designer capacity, track projects, manage process efficiencies, and reduce errors. Appearing for the first time at Fespa in Berlin, Highcon Systems introduced the capabilities of the new Highcon Euclid IIIC digital cutting and creasing machine to visitors. Scodix, the world’s leading provider of digital enhancement solutions for the graphic arts industry, today announces the installation of a Scodix E106 Enhancement Press at Grafinpack, an Italian manufacturer of high quality folding cartons. 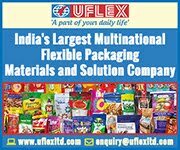 In a big development, India’s largest multinational flexible packaging materials and solution company Uflex Limited has been certified by the Indian Banks’ Association (IBA) as a security printer for printing MICR instruments for its member banks. Aleyant, an innovative leader in providing robust software services to the graphic communications industry at value-driven prices, today reported that TechNova Imaging Systems is now reselling the Aleyant suite of cloud-based software solutions to the printing market in India. TechNova is one of the world’s leading suppliers of total imaging solutions for the graphic communications industry and has the most deeply entrenched distribution network in the Indian Graphic Arts industry for global alliances. Since 1971, TechNova has introduced several new breakthrough technologies that have transformed imaging processes in various industries. With the agreement to resell the Aleyant suite of solutions, TechNova will now be making web-to-print and automated production workflow more accessible to Indian printing companies and their customers. 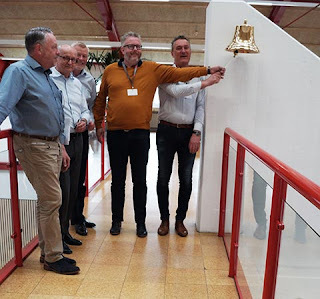 ABN AMRO Participaties (“AAP”) has reached an agreement to acquire MPS Group B.V., a parent company to MPS Systems BV (“MPS”), a global leading provider of high-quality versatile, end-to-end narrow and mid-web printing solutions, from majority shareholder Braver Investments, Oost NL and the founders of MPS. 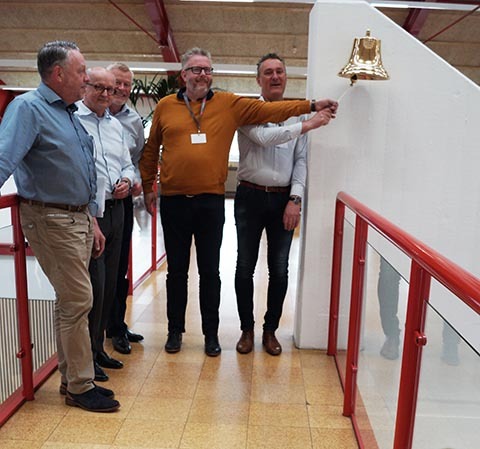 Wim van den Bosch (CEO), Willem Huijink (CFO) as well as founders Bert van den Brink and Eric Hoendervangers will remain with the business and invest alongside AAP.